Every startup wants to change the world. But the ones who truly make an impact know something the others don't: how to make government and regulation work for them. As startups use technology to shape the way we live, work, and learn, they're taking on challenges in sectors like healthcare, infrastructure, and education, where failure is far more consequential than a humorous chat with Siri or the wrong package on your doorstep. These startups inevitably have to face governments responsible for protecting citizens through regulation. Love it or hate it, we're entering the next era of the digital revolution: the Regulatory Era. The big winners in this era--in terms of both impact and financial return--will need skills they won't teach you in business school or most startup incubators: how to scale a business in an industry deeply intertwined with government. Here, for the first time, is the playbook on how to win the regulatory era. "Regulatory hacking" doesn't mean "cutting through red tape"; it's really about finding a creative, strategic approach to navigating complex markets. * AirBnB rallied a grassroots movement to vote No on San Francisco's Prop F, which would have restricted its business in the city. * HopSkipDrive overcame safety concerns about its kids' ridesharing service by working with state government to build trust into its platform. * 23andMe survived the FDA's order to stop selling its genetic testing kits by building trusted relationships with scientists who could influence the federal regulatory community. 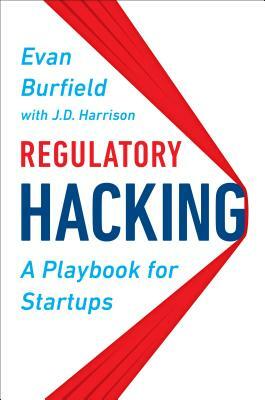 Through fascinating case studies and interviews with startup founders, Burfield shows you how to build a compelling narrative for your startup, use it to build a grassroots movement to impact regulation, and develop influence to overcome entrenched relationships between incumbents and governments. These are just some of the tools in the book that you'll need to win the next frontier of innovation. Evan Burfield is the cofounder of 1776 and CEO of Union, where he works with startups around the world tackling important challenges in areas like education, health, energy, transportation, food, and financial services. As an angel investor and venture capitalist, Evan has invested in more than thirty startups with world-changing ideas, from Silicon Valley to Nairobi. J.D. Harrison is the executive director for strategic communications at the U.S. Chamber of Commerce. He previously covered startups and entrepreneurship at the Washington Post.